He hasn’t seen his family and friends for three years. “Now everyone around me seems like they are on another planet with totally different thought patterns,” he says. Omar’s young life has been one of constant movement. 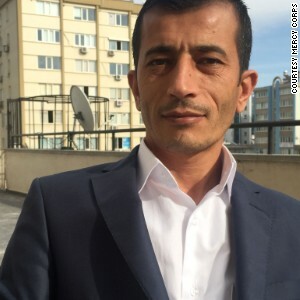 His family first fled Aleppo for Cairo, and then in 2013 to Antakya, Turkey in search of work. Next month Omar will relocate to Norway, joining his father who has gained residency there. Asked what he thought of moving to Norway, the four-year-old said, “I like to travel.” Every time he moves, he puts all his things in a small backpack that he carries himself. Because Omar has moved so much in the past five years, he’s had to learn new languages so people can understand him – and he’s become very good at making new friends, he says. When the war ends he wants to see his bike again – and when he grows up he wants to be a football player and own a phone so he can talk to his family in Syria. Hanine, 17, has grown up during the war. She was in middle school in Damascus when it started. Now she works in a pastry shop in Baalbeck, Lebanon. “All the people that I loved in Syria are now somewhere else; they are either dead or refugees around the world,” Hanine says. But she does plan to visit Syria again some day. Nour, 8, fled Syria two years ago with her mother and brother, making it safely to the south of Lebanon after walking across Mount Hermon for two days. 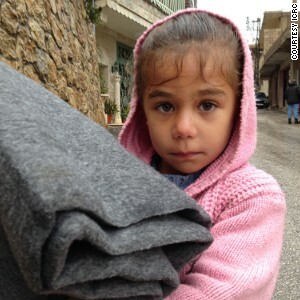 Her father is still in Syria, but she and her family have lost contact with him. The winter is harsh in Lebanon, and Nour has to help her mother carry blankets they received to help them get through the winter months. “I want to go back to see my father and I want to go to school,” she says. Nour told her story to the International Committee of the Red Cross. Samar, 50, has learned how difficult it is to survive in war. 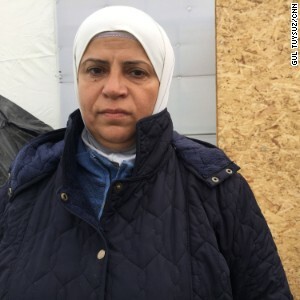 She lives with her husband Mohammed, 57, in a garage in Syria. Samar says it is better than living in a besieged area. Samar and Mohammed told their story to the International Committee of the Red Cross. 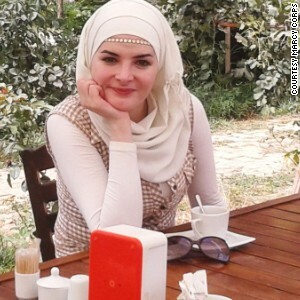 Farah, 27, is a freelance filmmaker and actress from Latakia. She’s in the Netherlands waiting for permission to be reunited with her daughter. In the past five years she says she’s had to start over from nothing more than once – experiences that have made her believe in her ability to succeed. Farah says the biggest change since the war began was the birth of her daughter, who is now three. She lost her own mother when she was a year old – but she’s determined to do anything to provide for her daughter. If she could return to a war-free Syria, Farah says she would visit her grandmother to tell her the impact she had on her life. Farah says she hopes that her grandmother can wait for her to return, because if she were to pass away, there would be nothing left for her to return to, other than the remnants of old memories and the skeletons of her friends. Five years from now, Farah dreams of visiting Disneyland with her daughter. She sees them playing together, having fun, feeling safe and being happy. She also sees herself working on a film career and a successful life. Farah told her story to Refugee Startforce. Photo credit: Manon van der Zwaal. Hala, 27, was about to embark on an English literature university course when she left Aleppo three years ago for Gaziantep. She hopes to return to Syria one day. “I want to visit my grandmother’s grave. I want to visit my neighborhood, my school, my university. 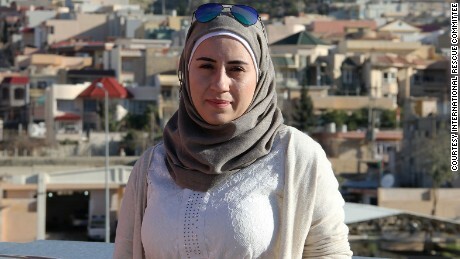 I miss the Syrian people, not just one person – one person is not enough,” she says. 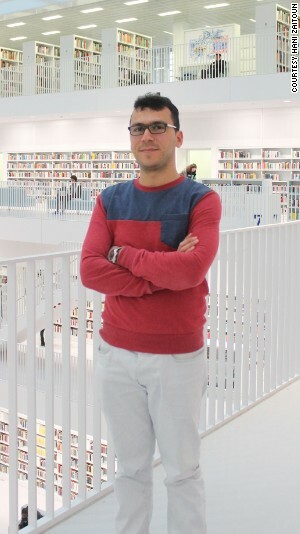 Emad, 29 is from Aleppo but now lives in Austria. 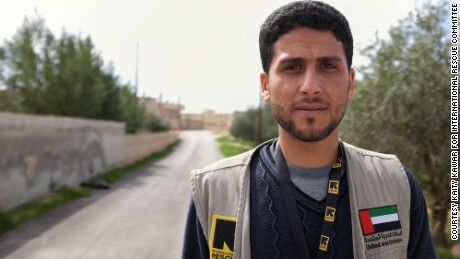 He works as a journalist and as a coordinator in the Life Makers Team, a civil work organization active in Aleppo. “Over the past five years, I unleashed my writing talent,” he says. “The opportunity presented itself as there was a need to report what was happening in Aleppo during the war. 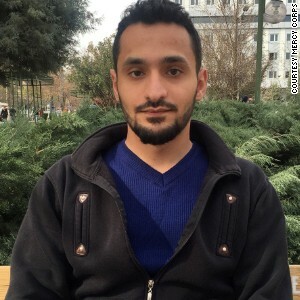 “I was able to work as a journalist -- without the boundaries imposed by the Syrian regime, [without] oppressing freedom of speech and expression,” he says. 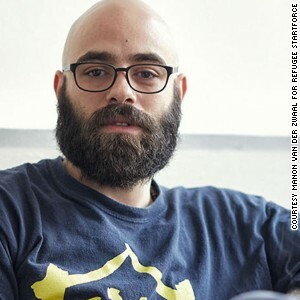 In the past year he’s written for a number of media outlets, including Good Morning Syria, while working for a number of aid organizations operating in Syria. But he says he hasn’t reached the peak of his abilities yet. Emad is a contributor to Good Morning Syria. 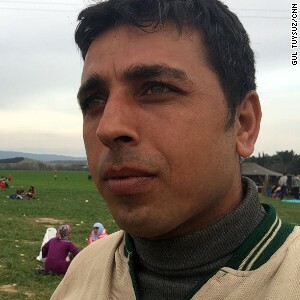 Murad, 28, was a nurse in Syria before the war. Before the war he says there was never a day he did not feel like a strong person. Murad works with the International Rescue Committee. Ahmad, 17, was a student in Yarmouk camp before he left Syria. Now he paints houses for a living in Lebanon. Ahmad says he’s at his best when he’s singing. “I sing in front of colleagues,” he says, “but I would love to see myself singing on stage.” He wants to become a professional singer five years from now. If he could go back to Syria, the first person he would visit is his uncle. “I grew up with my uncle. He was very supportive and I love him very much. He was the one who told me that my voice has potential when I was a child, but I never really believed him,” Ahmad says. Lamees is 3 and likes to pose for selfies. Her parents are unable to find work in Karak, Jordan and the family is reliant on her older brother Ziad, a waiter, to meet the family’s basic needs. Growing up in war has meant that Lamees has lived a very different life to that of her older two siblings. In Damascus their lives were filled with constant socializing with friends and family. Her father owned a popular restaurant and this was often the center of social activity. Living in a foreign town where they do not feel safe has meant Lamees lives a very confined life. At a child-friendly center in town, Lamees has learned that she is a “good drawer” and very good at making friends,. She wants to go to the center every day to meet new friends. Most nights Lamees helps her father prepare dinner. She’s good at chopping vegetables and would like to have her own restaurant when she is older. And when the war ends, Lamees wants to meet her cousins in Syria. 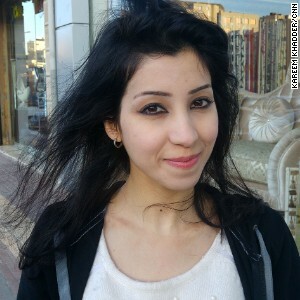 Niveen, 21, is a university student in Amman. When she arrived in Jordan from Damascus, she made new friends and hoped she wouldn't be staying long. She has since learned to be patient the last five years in these difficult years. When the war ends, Niveen wants to see her friends and let them know how much she has missed them. Niveen told her story to CNN's Kareem Khadder. Nirous, 8, wants to be a teacher some day. Her family arrived in Greece in late February following a month-long journey from northern Syria. They hope to make their way to Germany. "If I can go back, I would want to see my cousin," Nirous says. But her mother says that after they left Syria, her cousin died when bombs destroyed their house. Nirous told her story to CNN's Barba Arvanitidis and Elinda Labropoulou. 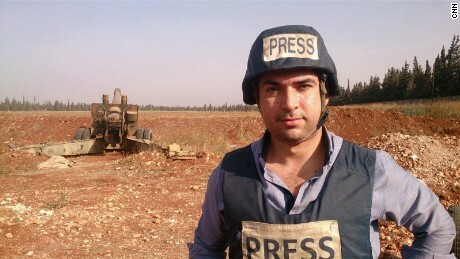 Jood, 29, is a journalist from Homs who still lives in Syria. “Over the past five years, I realized the value of my life and that of others, and I learned that we should all strive to preserve it. Man can only feel human when free and unchained,” she says. Jood is a contributor to Good Morning Syria. Bushra, 7, is the sole survivor of a bomb blast that destroyed her home in Homs and killed her immediate family. She travelled by car and by foot with her elderly grandmother to Lebanon in 2012, where she has settled in a Danish Refugee Council Collective Center in Tripoli. She doesn’t like to talk a lot, and is never without her stuffed toy “rabbit” she managed to bring with her from Syria. It is the only possession she has from home. Bushra doesn’t like to go outside – the only time she leaves her apartment building is when she travels to and from school with her best friend Mahmoud. She feels strongest when she’s learning at school, where she forgets to be sad. She doesn’t know who she would visit after the war, because her family is gone. But when she gets older she wants to return to Syria to be a French teacher. 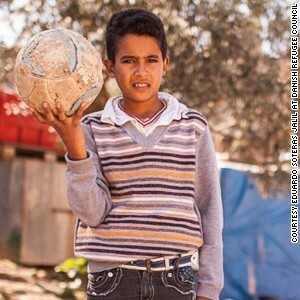 Chindar, 13, is from Amuda and is the eldest son in his family. 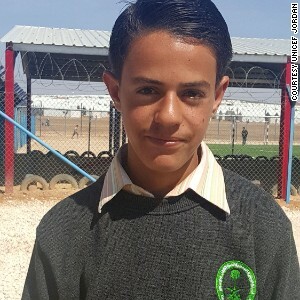 He’s illiterate like his parents, and doesn’t go to school in Amman because he doesn’t like how he’s treated by the teacher and other pupils. In the past five years he says he’s learned a lot about being quiet. His family of five lives on $10 per person per month, which they receive from World Food Program. Everything they eat and need must be subtracted from this sum. Chindar says he’s at his best when he plays football. But he doesn’t own his own ball and has to wait to play with other children. The only objects he owns just for himself are marbles -- he has a jar full of them because he is a good player and always wins. When the war ends he wants to visit his grandmother back in Syria. And he wants to become a blacksmith. 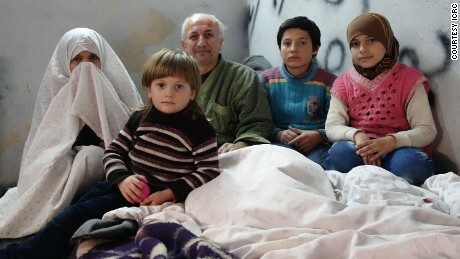 Raheem doesn’t like to complain, but sharing a cramped shelter with nine other family members is hard. Every day, he tries to help his mother look after his younger siblings. He tries to do everything for himself so he is not a problem for his mother. He takes himself to school and makes sure he his homework every day. In the future he wants to be a lawyer so he can help people know their rights – especially refugees. 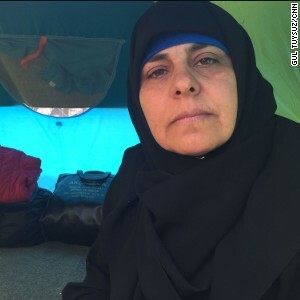 Taqiya, 50, is a housewife from Al-Bab who is now in Idomeni, Greece, one of hundreds of thousands of Syrians seeking refuge in Europe. In the past five years she says she’s learned that God is protecting her and her two youngest children who she’s travelling with. “The rockets, the bombs, they fell all around us, but we were spared. One was next to our house, but it didn’t explode. Three weeks after we left I was told that a bomb destroyed our house.” In five years from now she wants to be back in Syria – and to have gone to the Hajj. Taqiya told her story to CNN's Gul Tuysuz. Ahmad, 30, used to be a student in Daraa, but now he’s a teacher who co-directs a children’s cultural project in Amman. He says he is extremely proud of his rich Syrian heritage, and it would be a tragedy if today’s children did not share this view. “I believe for anyone to feel a sense a belonging to where they are, they must respect it. This work is my commitment to my people,” he says. He says his ability to take opportunities and integrate into Jordan stems from his strong sense of knowing who he is. It’s a trait he says comes from his maternal grandmother, who raised him to be proud of his culture. “We don’t have anything that splits us as humans. It’s just up here,” he says, tapping his head. Ahmad says the past five years has made him unable to trust strangers – but he’s working on his relationships. 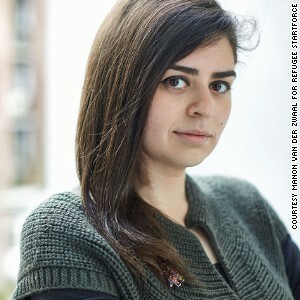 Obayda, 25, is a doctor who spent six months during the war working in field hospitals on the Turkish-Syrian border. From there, he decided to take the boat and land journey from Turkey to Greece and across the Balkans before making it to Germany. The last five years have changed Obyada because he has had to learn to become self-sufficient since his parents are refugees in Lebanon. Since arriving in Germany, Obayda says he feels human again. 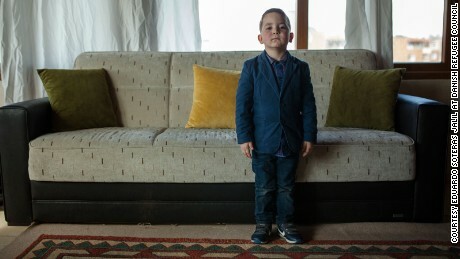 In five years he hopes to be practicing medicine in Germany. Obayda told his story to Hani Zaitoun for CNN. Refaat, 31, worked in human resources in Syria before he ended up in Amsterdam. The past five years have taught Refaat that life is fragile and challenging. He approaches life differently now, he says, doesn’t take things for granted, and tries to enjoy what little he has. 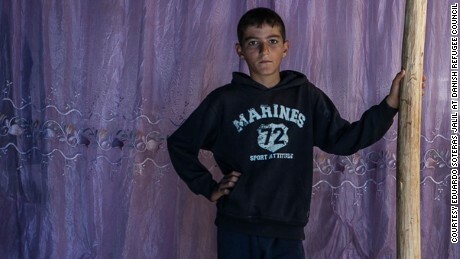 Once the war ends, Refaat would like to see his parents, family, friends and other loved ones – but he’s not sure that will be possible. He fears that Syrian society has been completely shattered by death and migration – and that if he returned, there’s a chance no one would be left. Five years from now, he sees himself where he is now, in the Netherlands, surrounded by family, loved ones and friends old and new. He hopes to have started a new career by then, but most of all he hopes that he’ll be happy. Refaat told his story to Refugee Startforce. Photo credit: Manon van der Zwaal. 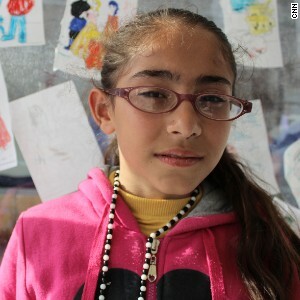 Alma, 30, lives in as-Swayda’ and Damascus. She was a student when the war started, but now she’s a Spanish teacher and a reporter who volunteers with children. Alma is a contributor of Good Morning Syria. Basel, 23, lives in his hometown in Latakia governate. He used to be a student and volunteer, but now he works in media. “Over the past few years, I learned to rely on myself more than ever, and I tried not to grow attached to anyone around me, for I could lose them in any moment, either because of their traveling or the security situation,” he says. As the cost of living rises in Syria, Basel has taken on other jobs, including photography. “I often grow tired of the workload and want to quit, but then I think of my family and quitting is no longer an option,” he says. Basel is a contributor to Good Morning Syria. Walid, 29, is from Daraa. Today he lives in Zaatari refugee camp in Jordan. Walid is a patient at Medicins San Frontieres' post-operative care facility in Zaatari refugee camp. 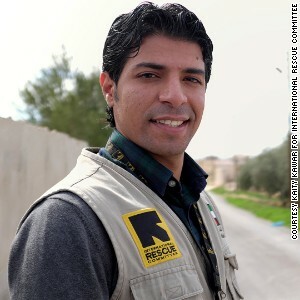 Marwan, 29, is from Damascus but now works as a health volunteer in Iraq for the International Rescue Committee. “I had bigger dreams than this,” he says. “My goal was to continue my education. I wanted my parents to see me graduate, but I had to leave Syria. When I was in Syria I had opportunities, now they are limited. I’m very proud of being a volunteer, but I feel like I could do so much more. Marwan works with the International Rescue Committee. 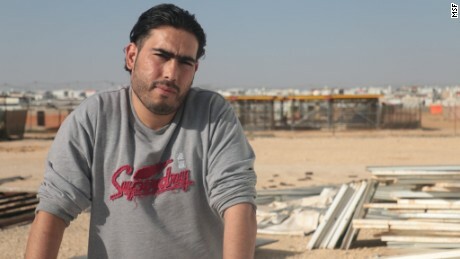 Rakan, 23, left his hometown of Homs and is now a refugee in Jordan. He can’t wait to go home. Rakan told his story to the International Rescue Committee. 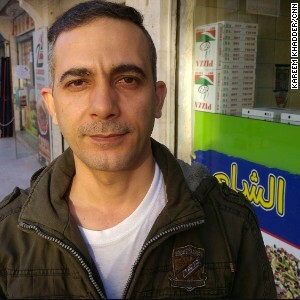 Haidar, 34, is a radio journalist in Homs. Before the war, he says, he had a normal life and “wanted to be a good Syrian." As a journalist covering five years of war he says he was a “little naïve and immature” before the war started. In the next five years, he would like for the war to end and Syria to return as it was before the conflict. Haidar told his story to Rama Jarmakani and CNN's Nadine Schmidt. Muheeildin, 40, was a lawyer in Aleppo before the war – but when ISIS came to his village, he fled to Gaziantep with his family. 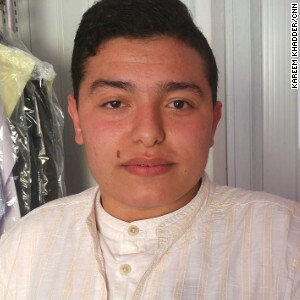 Mohammad, 17, is from Homs. 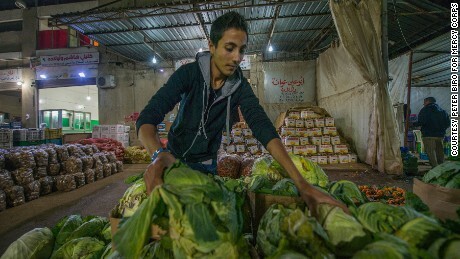 Today he works at a vegetable market in Sidon, South Lebanon. “When I was in Syria, I didn’t worry about anything,” he says. “I didn’t have to worry about anything but my studies. I wasn’t working. My day would be going to school, doing my homework, and playing with my friends. When I first got to Lebanon, I felt the change. I got depressed, and started worrying about things I knew that a boy my age shouldn’t worry about. Sometimes I would sit by myself, remember my friends in Syria and just cry. Kinda, 28, is from Damascus and worked in advertising before fleeing to the Netherlands. Looking back on her life during the war, she’s stunned at how she and her fellow Syrians handled the situation around them. Even though they were surrounded by explosions, shelling, and kidnappings, they simply kept going, day by day, without fear and anxiety, almost totally numb to what was going on. But there’s only so much loss a person can take, and in 2012 Kinda says she became severely depressed. It was then that she had the epiphany that there must be a reason she was still alive – and she has since grabbed life with both hands. The first place Kinda wants to visit if she returns to Syria is her father’s grave, since she wasn’t able to attend his funeral in 2013. In the future Kinda sees two visions. One is a stable life in a foreign country where she can get asylum and be accepted by the community. The other is a future where she returns to Syria to help rebuild her beautiful country. Kinda told her story to Refugee Startforce. Photo credit: Manon van der Zwaal. Ali Mulhem, 28, had just graduated from medical school when he met his fiancé at a demonstration in 2011. 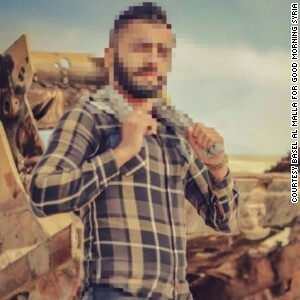 He spent the start of the war encouraging people to join the opposition until he was arrested by Syrian security forces. Released after three months in jail, Ali Mulhem lived at a hospital in the Yarmouk refugee camp treating wounded people until he says he was detained again and tortured. That’s when he and his fiancé left for Gaziantep, Turkey, months apart. After five years of war he says he has become a "monk," finding “happiness in the regular and basic things in life such as having food, water and sleep”. Ali told his story to Rama Jarmakani and CNN's Nadine Schmidt. Shaha, 20, travelled from Aleppo to Greece in late February, crossing by sea in a boat driven by her father that held about 75 people. Her family – all nine children and both parents – survived the trip. 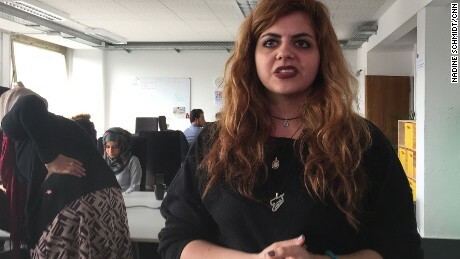 They want to go to Germany because there’s more opportunity there. Before they left, Shaha had completed her first year of university to become a primary school teacher. But their house was bombed and they had to flee. 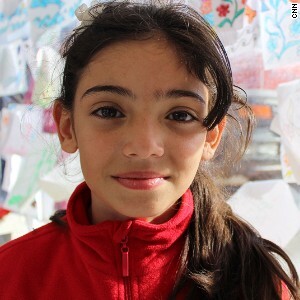 “In five years I want to be back in Syria." Shaha told her story to CNN's Barba Arvanitidis and Elinda Labropoulou. Selda, 10, and her family arrived in Greece in late February following a month-long journey from northern Syria. They hope to make their way to Germany. “I don’t remember anything before the war,” she says. “I just remember the bombs.” When Selda grows up she wants to be a doctor so she can help people. Selda told her story to CNN's Barba Arvanitidis and Elinda Labropoulou. Saleh, 35, says his life in Iraq is completely different to the life he had before. 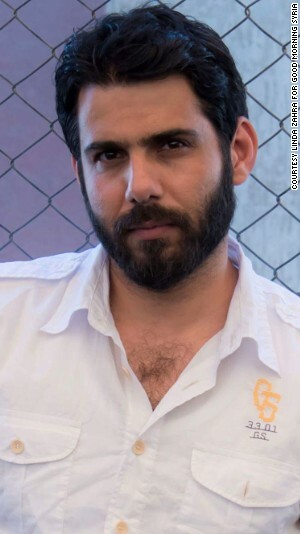 Once a lawyer in Syria, he is now a social worker for the International Rescue Committee. Saleh works for the International Rescue Committee. Mahabad, 25, was a philosophy major at university before she became a refugee in Iraq. Now, she works as a Child Protection Officer with the International Rescue Committee. Mahabad works for the International Rescue Committee. Manal, 47, was a paralegal in Damascus but is now in Idomeni, Greece, one of hundreds of thousands of Syrians seeking refuge in Europe. Manal told his story to CNN's Gul Tuysuz. 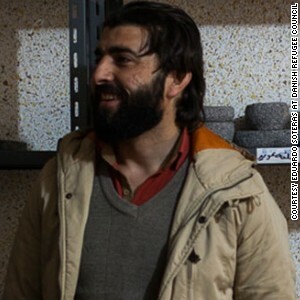 Ahmed, 29, was a tailor in Aleppo. 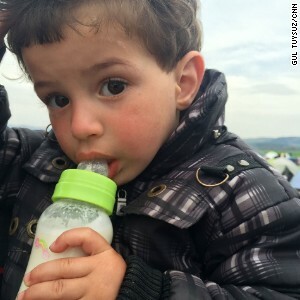 Now he’s in Idomeni, Greece, one of hundreds of thousands of Syrians seeking refuge in Europe. Ahmed says he was never involved in the war or the politics. “I tried to stay away from problems,” he says. Ahmed told his story to CNN's Gul Tuysuz. 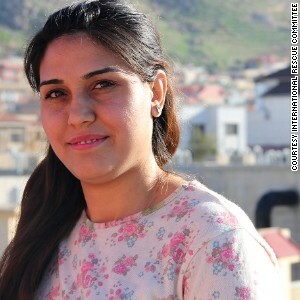 Nada, 28, is from Abu Kamal. 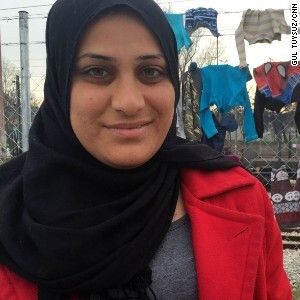 Now she’s in Idomeni, Greece, one of hundreds of thousands of Syrians seeking refuge in Europe. 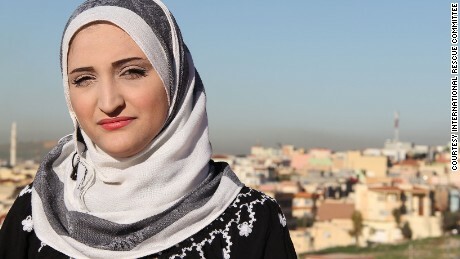 Nada told her story to CNN's Gul Tuysuz. 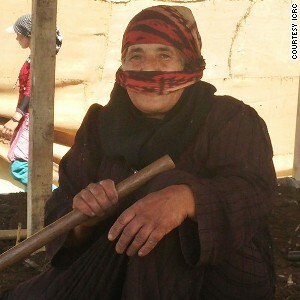 Fatima, 64, lives in a tent in Lebanon after fleeing Homs in 2012. Leaving with her son and his family, the family lived near a riverbank just across from Syria until that home was washed away. She’s helping the family set up in their new settlement, leveling the ground underneath the tent. “I got younger since we left Syria,” she jokes. Fatima told her story to the International Committee of the Red Cross. Gulbahar, 1, is from Afrin. Her mother Berivan says she slept the entire boat ride to Greece. Gulbahar's mother told her story to CNN's Gul Tuysuz. Nareen is proud of the work she’s done for the International Rescue Committee in Iraq with vulnerable children. She’s also proud that she can support her family. Nareen works for the International Rescue Committee. 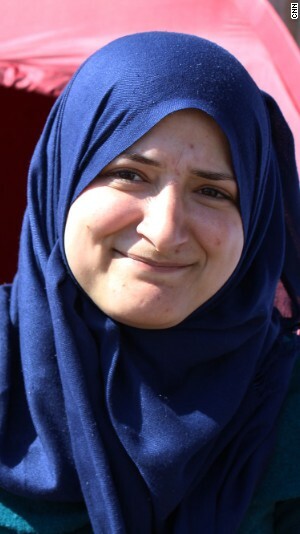 Siwan, 29, was a teacher in Syria when she had to flee with her husband and baby. Once they made it to Iraq, Siwan decided she wanted to help refugee children and became a social worker for the International Rescue Committee. “I felt weak, scared and worried [when we fled], but now I feel strong, brave, confident and calm,” she says. “There are so many people I want to visit once the war ends! I miss my sisters and brothers and friends that have remained in Syria, but the first person I want to visit is my dearest childhood friend. I want to hug her and tell her how much I missed her." Siwan works for the International Rescue Committee. 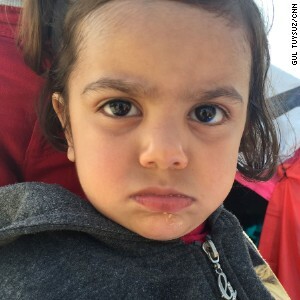 Hamze, 2, is from Yarmouk camp in Damascus. The camp was under siege, and he and his grandmother were both ill.
Hamze doesn’t sleep well, his father says. “He’s always crying and he doesn’t play like before.” His parents dream of being in a place where they can breathe and live – a place they can raise their son. Hamze's parents told their story to CNN's Gul Tuysuz. 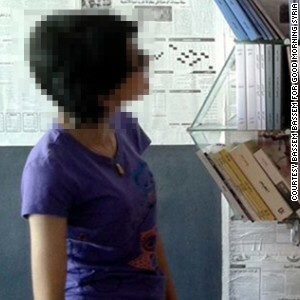 Five years ago, Louna, 22, lived with her entire extended family in one building in Damascus. Syria. Life was easy, she says. Now in Berlin, she has discovered she has the strength to live here and live here alone far away from her parents and friends. Even though the situation now is challenging, Louna says she is the best version of herself right now in Germany. “For the first time I have purpose in my life”, she says, as she is working on developing her coding skills. Louna told her story to CNN's Nadine Schmidt. Isa, 25, is from Idlib. As he makes his way to Germany, he is camped out on the Greek side of the Greek-Macedonian border. Isa cannot think of one moment in the past five years that was a good one. His worst memory is from the battle for Idlib last year. Starving from hunger, before fleeing Syria, he and his family would put stones on their stomachs to press them down to try to forget about the hunger. Isa told his story to CNN's Brice Laine. 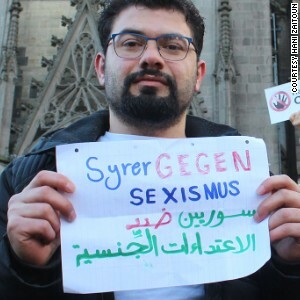 Ibrahim, 27, is from Damascus. He sells milk now, even though he was a web developer back home. Life goes on, he says. He never thought he’d leave Damascus five years ago, he says – but when his mother visited him in Amman in 2013, he felt human again. When the war ends, Ibrahim wants to visit his father in Syria, to ask for his forgiveness for leaving. Ibrahim told his story to CNN's Kareem Khadder. Jomana, 45, is from Damascus. 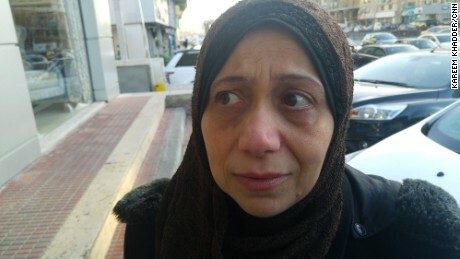 She and her daughter are living in Amman, Jordan, while her husband and son are in Germany. In five years, Jomana doesn’t know where she will be. Maybe sailing to Europe or Turkey or anywhere else, she says. Jomana told her story to CNN's Kareem Khadder. Riyad, 39, says the war has taught him to be patient. 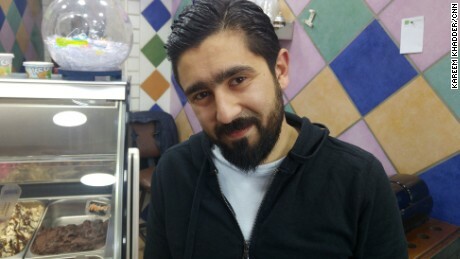 He owned his own bakery in Homs but now works as a baker in someone else’s shop in Amman. In five years, he’d like to be back in Homs as soon as possible, back to his old life. Riyad told his story to CNN's Kareem Khadder. Addallah, 23, wants to go back to his hometown of Daraa, even though the past five years were normal for him in Amman. He says the best times of his life were in Syria. Addallah told his story to CNN's Kareem Khadder. Mohamad, 15, was a student in al-Muadamiya. Now he helps his brother at his tailor shop when school finishes in Amman. In the past five years, he has learned to be “kind and respectful,” he says. Mohamad told his story to CNN's Kareem Khadder. 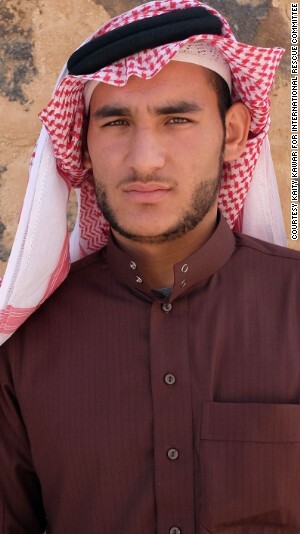 Hussam, 16, says he became a man sometime in the last five years. All he thought of when he was 11 was playing football when he was in Syria. Now in Azraq refugee camp in Jordan, he says everything is important, and he notices everything around him. At 16, he says he is the best version of himself yet -- and for the first time in a long time, life is stable and he is able to plan his future. When the war ends Hussam wants to visit his sisters, who are still in Syria, and give them big hugs. Hussam told his story to UNICEF Jordan. 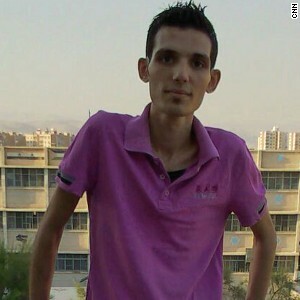 Sakher, 27, was a political science student in Damascus when he joined demonstrations at the start of the war in 2011. After living through four years of war, he escaped and came to Germany as a refugee. 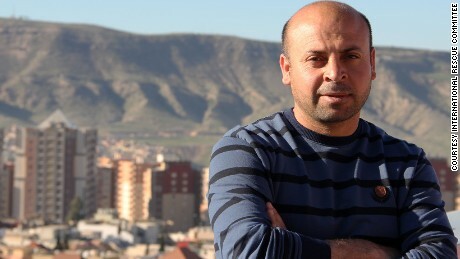 Sakher told his story to Hani Zaitoun for CNN. 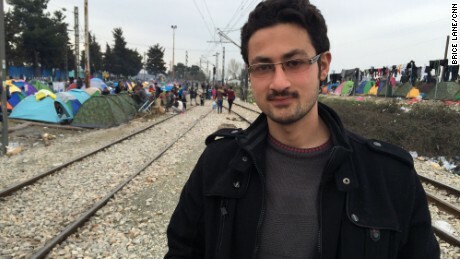 Khaled, 25, ended up in Germany after walking for two months with an injured leg. 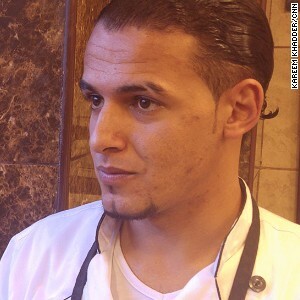 At the start of the war, he lived in the Yarmouk refugee camp in Damascus and worked as a barber. An initial supporter of Assad’s regime, he later joined in on the demonstrations. After the camp was besieged by the regime, Khaled says lost his leg during a mortar attack. He dreams of going back to Syria and working as a barber again. 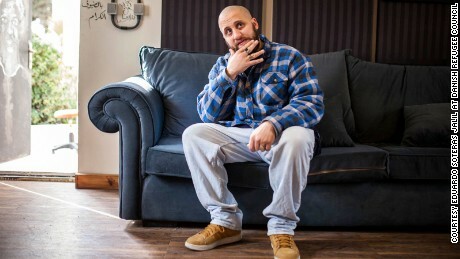 Khaled told his story to Rama Jarmakani and CNN's Nadine Schmidt. Ibrahim, 2, and his family fled Abu Kamal after ISIS seized the Syrian town in 2014. Five years ago he used to own a car repair shop – now in Beirut, he works in one. “I used to help people with food and money,” he says. "Look at us now, we are refugees with no future -- not only my family but thousands of other Syrian families with no future. The entire world is watching." “I have no family left in my hometown,” he says. “But God willing, when I return back, I would kiss the ground, I would smell its earth and its air. I really can't wait for that day to come." Abu Ibrahim tears up at the thought where he wants to be in five years. "Home ... I want to be home, where else I should be but my own home with my family?" His wife touches his back as he starts to cry. 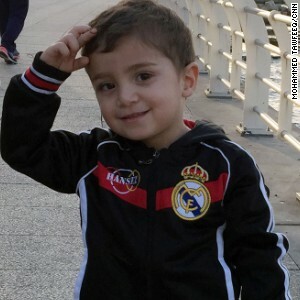 Ibrahim's parents told their story to CNN's Mohammed Tawfeeq.